Thank you to these businesses for their support of our programs, events, and publications. 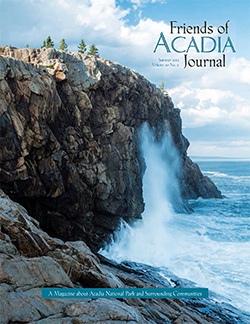 Sponsorship offers the best kind of exposure for your organization, demonstrating your commitment to Acadia National Park to the thousands of individuals and families who live here or visit regularly, and who love the park. And as a valuable community partner, you help Friends of Acadia grant more than a million dollars every year to the park and our surrounding communities. To become a Friends of Acadia Business Sponsor, please contact Sharon Broom at 207-288-3340 or sharon@friendsofacadia.org. Not allowed are qualitative or comparative language (“gorgeous,” “the best,” “#1”), price information, or indications of savings or value (“10% off”). This is a relatively new restriction for all Friends of Acadia publications, and we do our best to apply the rules correctly and fairly. If you have questions about the wording of your ad, please contact Sharon Broom at sharon@friendsofacadia.org. Thank you for understanding!